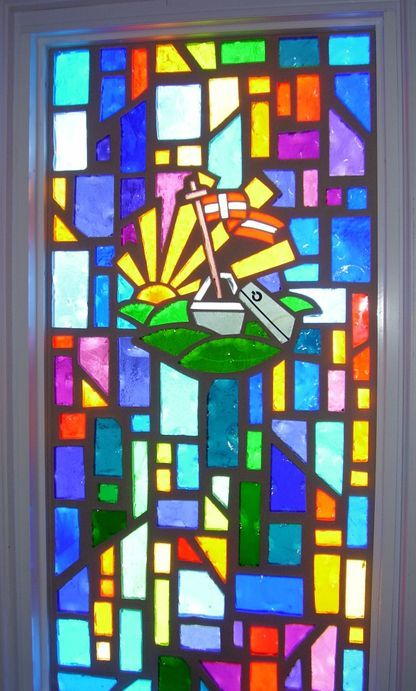 In 2010, Laws Stained Glass Studios installed (14) faceted glass windows at New Corinth Baptist Church in Rutledge, TN. 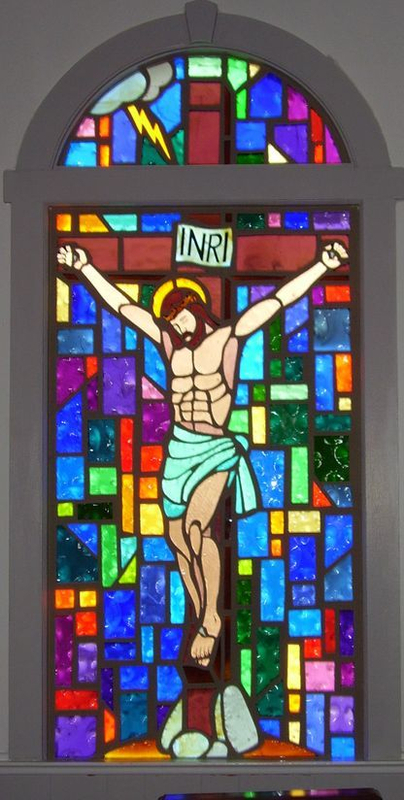 The six main sanctuary windows (size 35" wide x 77" high with a round top) each contained a floating scene of "The Life of Christ". These windows were installed into the existing wood frames. The outside wood stop was covered with white aluminum flashing. 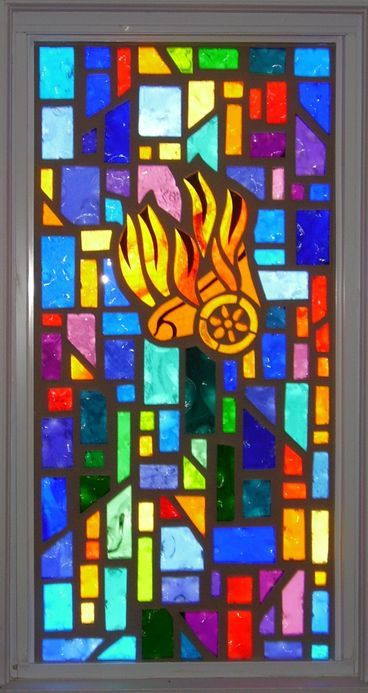 The eight other windows (size 25" wide x 51" high) each contained a symbol. 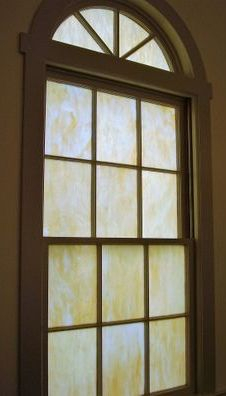 These windows were installed into the existing vinyl frames. 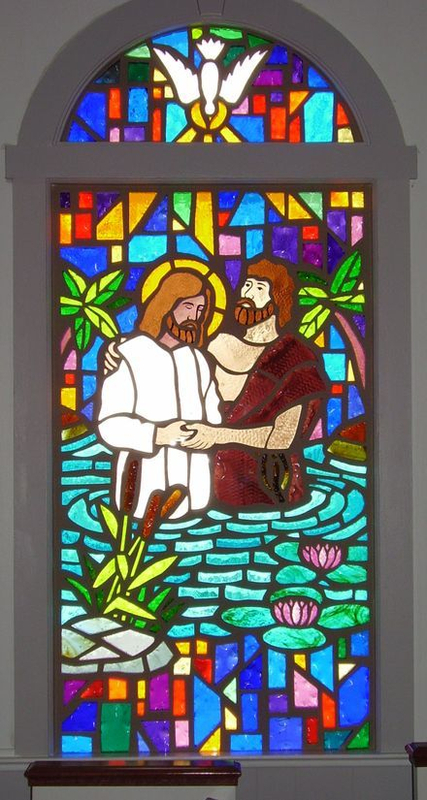 Faceted glass window with a floating scene of "The Baptism"
Faceted glass window with a floating scene of "The Crucifixion"
Faceted glass window with a floating scene of "Blessing the Little Children"
Faceted glass window with a floating scene of "Garden of Gethsemane"
Faceted glass window with a floating scene of "The Nativity"
Faceted glass window with a floating scene of "The Ascension"
Faceted glass window with the symbol "Ascension"